Nyamirambo a pretty diverse and stretched-out neighborhood, encompassing the southwestern corner of Kigali. And a huge corner, at that! It’s a big place with the main part bordering town and ‘deep’ Nyamirambo (also referred to as Gangster’s Paradise) which stretches all the way up the hills into the distance. This is one of the most vibrant and interesting neighbourhoods in Kigali. It’s full of mosques and many of the city’s Muslim residents live here. 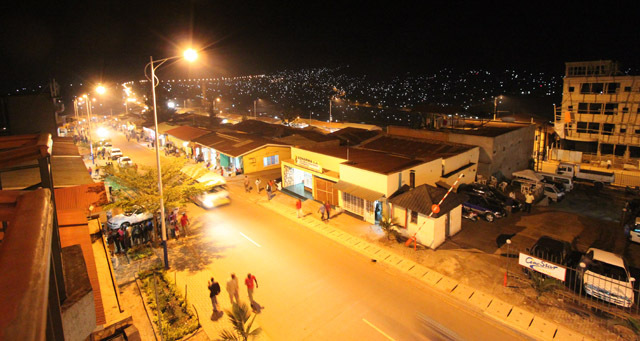 Unlike the rest of Kigali which seems to shut down at 8pm with everyone inside their homes, Nyamirambo hustles and bustles late into the night. For easy access to all facilities in town – without paying too much in rent – this neighborhood can be a good choice. Houses will be pretty simple. No expat-ized mansions on the hills in this area! Transportation links to the rest of the city are great with plenty of buses. The big ones are starting to ply the streets here but one of the best parts about this area of town are the matatu-style mini buses with celebrities painted on them, loud music and flashing lights. The place has character! The main streets in Nyamirambo are lined with small shops with brightly coloured paintings on their walls selling everything from shoes to general goods to auto parts. There’s even a store that sells rice. Yep… just rice. It’s an interesting place to wander and if you feel like a day of shopping and want to stumble onto some interesting things, head here. If you’ve ever had anything stolen in Kigali you might find it in one of the markets here. Rumour has it that this is where the city’s pilfered items end up. If you ever want to have clothes made, the Senegalese tailors (supposedly the best in town) are all situated in this area, and for the biggest choice in fabric, the Nyamirambo main street is the place to go. If you ever complained about Kigali not having a cinema: cease despairing! For in Nyamirambo is situated a 2-floor cinema; seats of the plushest red velvet; screen as wide as your living room wall; sound loud enough to give you tenatus… I have great plans to take on the Nyamirambo Cine-Star Cinema as a renovation project, but until those plans happen (read: never), try it out! The manager is more than willing to play whichever movie you bring, as long as you can fill up the cinema with more than 4 people, each paying 1500. I’m not really sure if religious stuff qualifies as recreation but the biggest mosque in Kigali is situated in Nyamirambo, and a visit is something to check of your to-do list. There are a bunch of local bars lining the streets here and while you’re not likely to find akabenz (a pork dish), you are likely to find some delicious brochettes and Nyamirambo’s specialty – huge fish. Two of my favourite fish places are located fairly deep into this area of town – Green Corner and Ten to Two. A fish to share between three people will cost between Rwf 7,000 and 10,000. Beers are cheap, the food is local, the atmosphere is fun and some of the restaurants further up the hill have great views of the city. When the rest of Kigali has gone to sleep (except for a few bars and clubs scattered around town), Nyamirambo lives on! People are out and about in this area at all hours and many of the local bars here stay open late and make a good place to go dancing. If you’re sick of seeing people you know at places like Ogopogo and Sundowner and want to feel a bit more anonymous, come to Nyamirambo for a night out. The bars here are cheap, the food is good, you’ll often encounter strange forms of entertainment (like lip synching stripper-ish types and farting/barking comedians) and it’s a lot of fun. The toilets are generally pretty horrifying, though, so… well, I don’t really have a recommendation. Just expect the worst and that bad part about going out in Nyamirambo won’t seem quite so bad. Born and raised in Norway, culturally transformed in the US, and now residing in Rwanda. Studied biology, but teaching English in Kigali while finishing up my Master's, and debating future career options. At the moment starting up a cocoa plantation is at the top of my list, closely followed by founding an improv society. Severely technologically challenged, but somewhat creatively gifted. A great lover of the Universe, as well as cakes and salt. A passionate hater of small concrete rooms. I will be moving to Kigali at the end of August and will be living in Nyamirambo! I would like to know a little more about buses into town–how frequently do they run? how much do they cost? Is there a fresh produce market in Nyamirambo? Or any good places to buy local goods? Is Nyamirambo a nice place to run? Will people stare at you? And is there a dress code as it has the largest Muslim population? Any information or comments would be greatly appreciated! Buses run regularly, but competition can be fierce. You do have a fierce face, don’t you? Learn to be merciless when it comes to buses. Rwandans will not queue. The best part: Nyamirambo buses are often decorated in wild colors and accessories with music bumping — they’re unique in Kigali. There is a Nyamirambo market, but as with most markets in Kigali, the freshness and quality of produce isn’t always great. Places to buy local goods do exist (although I’m not sure what you mean by local goods), as they do all over Kigali. Running will always draw stares. Nyamirambo is no exception, especially in the upper reaches away from town where abazungu rarely live or venture. I can recommend Mount Kigali though as a nice place to hike (or run if you’re masochistic or a decent runner). 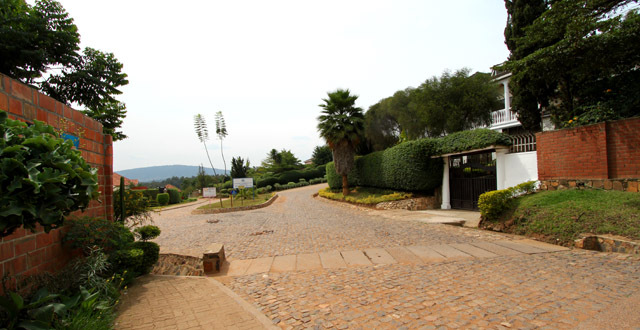 Nyamirambo crawls up the slopes of Mount Kigali at its furthest reaches. As for dress code, common sense applies, just as it does everywhere in Rwanda. There is no special dress code, unless you’re entering a mosque, where you ought to don some more coverings. In general, Nyamirambo is much livelier than most everywhere else in Kigali (or Rwanda). It has that reputation and in my experience it’s true, as people are out and about well into the evening. Restaurants are worth travelling to, the Congolese bars play much better music than the standard Rwandan repertoire, and it does have the largest Muslim population in Rwanda. Just expect less abazungu-oriented services. I like Nyamirambo because of their are a good location every one gets something easier like a food,security and so one..So i live it forever. just arrived i have car, driving is new to me. which area is good for just young man like me. I have lived three weeks in Nyamirambo, when I was visiting the country. I had a room in a nice house, belonging to a Rwandan family. No expat thing, just living as a part of a Nyamirambo family. They are muslims, I am a christian – nice conversations, always with mutual respect and a lot of love. I felt at home is this part of the city. People were kind, busses were always when I needed one – some of the drivers started to know me, because I was one of those “Dutch guys” in town. I speak a little bit Kinyarwanda and Kiswahili, that helps a lot with integration in this great country. I think about Rwanda almost every few days. I am coming for a short visit. Can you help about accommodation in Nyamarimbo? Copyright Living in Kigali - Life in Kigali, Rwanda for Expats. All Rights Reserved.